Home > Resources > Smart Products > Choosing the Right Kitchen Door styles? Choosing the Right Kitchen Door styles? Choosing the best Kitchen Door style for your next project can be a big step; understanding your style, budget and who will be using the kitchen is a natural place to start when considering all of the available door options. Let’s look at the most common and popular doors in Australian kitchens and see how the pros & cons stack up for you. Making the best decision you can will mean your doors are ready to shoulder their share of tough treatment, being opened and closed many times a day, and in the firing line for being bumped, kicked, splashed and spattered! The basic melamine doors is the workhorse in most Australian Kitchens. With an enormous range of colours, they are popular for their affordable price point and ease of handling / cutting by your cabinet maker. As a plus, they are very hardwearing, and you can expect the colour to stay true and outlast your kitchen. While they can carry a stigma from the 80’s and 90’s of being cheap or plastic-like, nothing could be further from the truth now. Modern palettes of melamine colours are extremely diverse offering subtle tone and contrasts which are becoming highly sought after. Colour schemes mixing plains with textured timber finishes can create real impact. 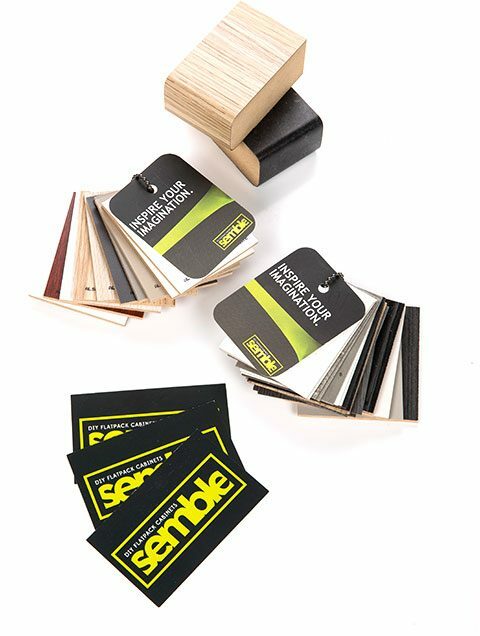 Available from matt and super-matt colours (providing fingerprint-proof finish), silky gloss finishes through to warm and textured timber grains; you should not walk past Melamine Doors as an option in your next project. Often many of these advantages are overlooked and melamine doors are chosen based on their very attractive price points. This means can you apportion your budget into other areas of your project for strong impact: perhaps 20mm stone or upsizing your hardware options? Now, homeowners can benefit from on-trend designs and achieve their dream project at a fraction of the cost. The main limitation when considering melamine doors is they are only available in flat panel. While this won’t affect many styles it is worth noting they are not available in shaker style or the like and this will limit some designs. Is your next project going to be a little more up-market? Thermolaminates are smart for longevity and maintenance of the doors themselves. Because the vinyl layer is exceptionally robust as a material itself. It’s hard wearing, and it provides excellent resistant to impact and chipping. Thermolaminate also comes in wide range of colours, textures & patterns. You can choose from wood-grain, you can get metallic finishes, you can get high gloss or matt. There are some limitations to be aware of if considering them in your next project. You can expect them to come at a higher price point, typically adding up to 30% or more on top of your kitchen budget. Beware, there are many cheaper suppliers of thermolaminated doors in Australia, while these may have extended warranties, this does not save the home-owner from going through the replacement process (which can be time-consuming) if your vinyl start to de-laminate on edges. 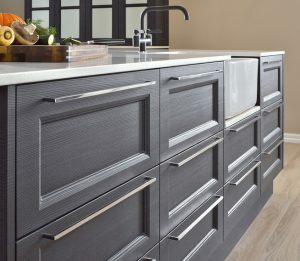 2-pack doors are a great touch to a high end kitchen look. 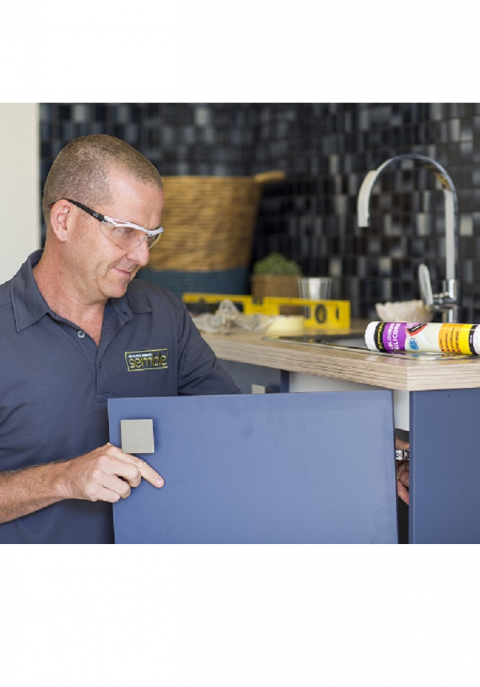 If you’re looking for a smooth coloured finish on your kitchen doors, you’ll probably be debating whether to get 2-pack or thermo-laminated doors. When you start asking about the pros and cons of these two popular finishes, you might become more confused than you were before you started asking. 2-pack is a special paint finish used on kitchen doors. Because of its special properties, 2-pack must be applied by professionals in a dust-free, ventilated spray booth. It is usually applied to unpainted medium density fibreboard (MDF), but can be applied to timber or other materials as well. This means that a full range of profiled door patterns is also available, and many people feel that 2-pack profiled doors maintain a sharper profile (on edges) compared to other options. One of the most popular advantages is that your can choose virtually any colour. 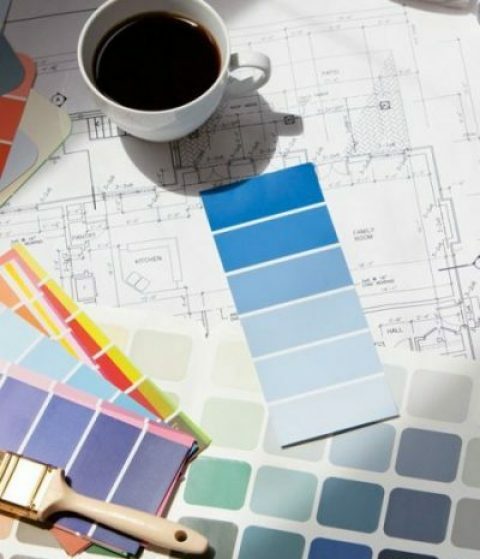 It is common to choose from the Dulux or Taubmans range and this will offer options to compliment other colours used in your house. While 2-pack doors will not peel or bubble, they are not scratch or chip-proof. You do need to take care and reasonable precautions with this product to look after it. In minor cases, a chipped 2-pack door can be touched up. Limitations include budget, often easily doubling your flatpack kitchen budget. You may be able to mix doors and with judicious use of 2-pack doors in your design offer a real highlight. This premium and classic option for doors is a favourite amongst certain styles (country / classic) and options include profile doors with frames, insets, raised mouldings and detailing, and specialty paint-finish doors, such as hand-painted, antique washes. Unlike factory-made materials, natural timber has a rich distinctive appearance with unique colour and grain variations. Often characterised with terms like fine craftsmanship and using the finest quality materials; the aesthetic value of timber is attributed to its grain, texture and colour, but there is likely to be variations in texture, grain and particularly colour within species. 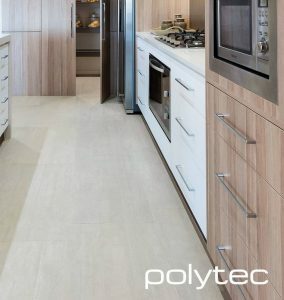 This variability is a highly valued characteristic, preventing monotony, adding to its charm, and will separate these project’s from many of the speciality timber grain laminates which are popular. While the price point of these Kitchen Door styles will decide their inclusion or not for many projects, there use should also be considered in context of the overall design and space. Timber doors can make a space look old-fashioned if not designed carefully. They are best suited to larger and open spaces with abundant natural light which will play off the natural variance in timber panels. Here are simple design tips to think over. High gloss doors of any Kitchen Door style will make a kitchen look larger, but high gloss requires frequent maintenance. Any fingerprints, spills or scratches will be very apparent. High gloss doors are usually 2-pack doors, but smooth melamine, vinyl wrapped and some laminates also have a glossy finish. If you choose timber doors, the gloss level can be anywhere from matte to glossy. One of the best Tips you’ll ever hear: remember you don’t have to stick with one colour or material for your Kitchen Door. You may want to mix and match to create a unique kitchen. 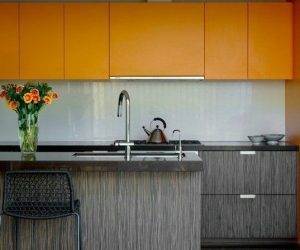 For example, you may want to use one shade of melamine for your floor cabinets and a slightly different shade for the upper cabinets. Or you may want to make the kitchen island a different colour from the main kitchen. Or you can even combine timber doors with painted, melamine or vinyl doors. Don’t forget, you still have to choose a benchtop, sink, taps, and appliances. 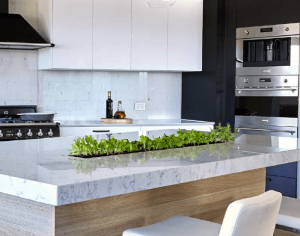 There is a lot to think about when designing a kitchen. But, if your budget is limited, don’t despair. 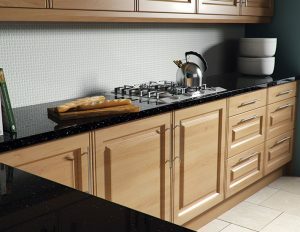 A melamine Kitchen Door can be very attractive and are gaining considerable use in Commercial projects which are often at the leading edge of design trends. Combine them with great handles and use a little flair in the design and you can have a budget kitchen that looks like a premium kitchen.